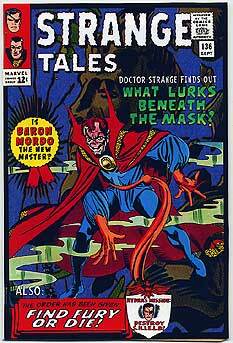 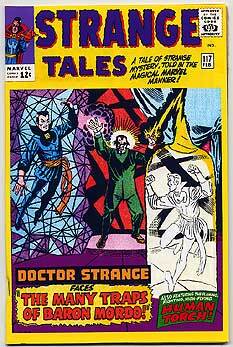 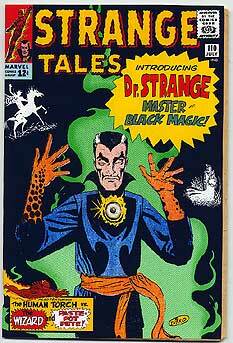 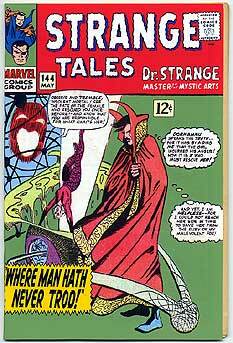 BRIEF HISTORY: Doctor Strange was created by Stan Lee and Steve Ditko in the pages of Strange Tales comics, where he made his debut in issue #110 (July 1963). 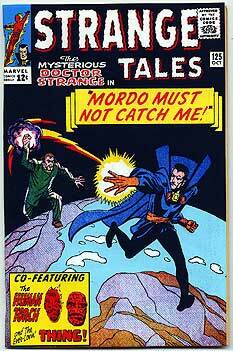 He co-starred in that comic with The Human Torch and eventually with Nick Fury, Agent of S.H.I.E.L.D. 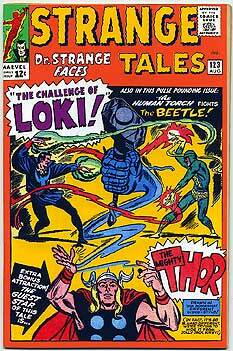 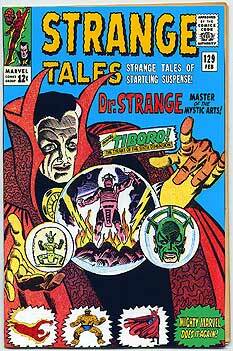 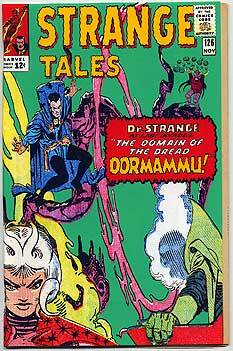 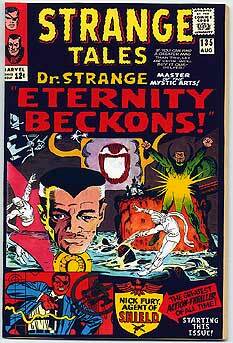 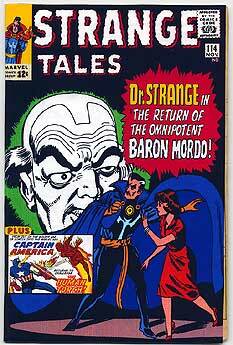 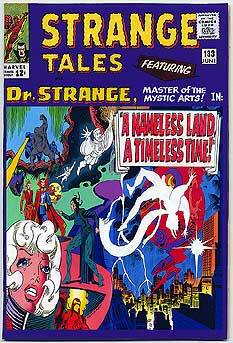 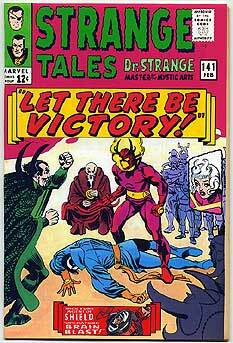 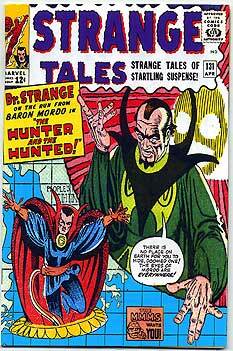 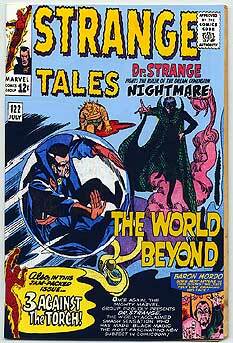 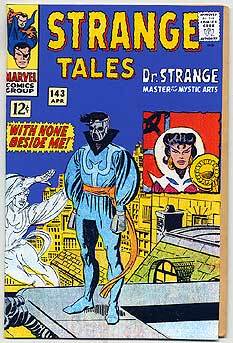 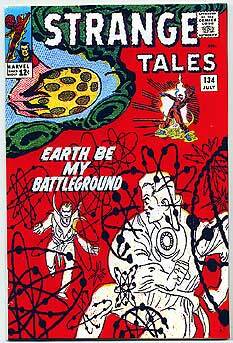 I always thought it was a shame that the first appearance of Doctor Strange, not to mention Eternity, Dormammu, Clea and Baron Mordo, were either not mentioned at all or only shown as tiny drawings on the covers of Strange Tales in favor of the more popular leading features. 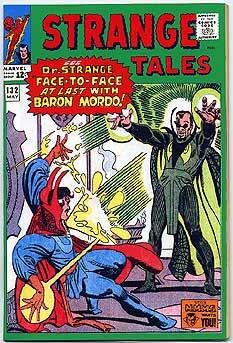 During Doctor Strange's legendary Steve Ditko run, Doc only had one full cover to himself, the last issue Ditko did (#146). 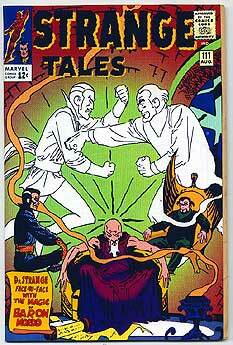 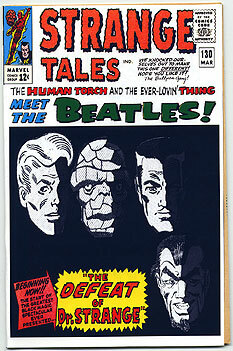 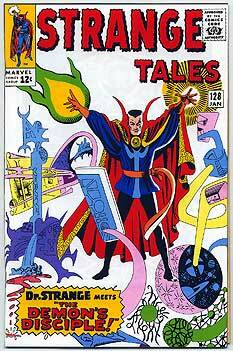 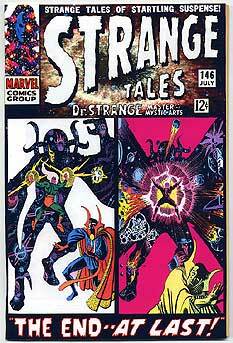 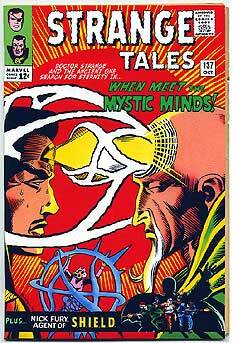 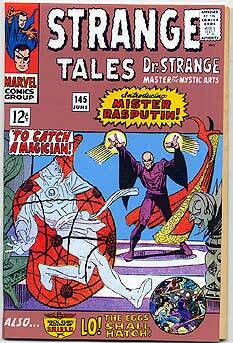 Early in 2004 I discovered a coverless copy of Strange Tales #110 on eBay that I picked up for about $25.00. 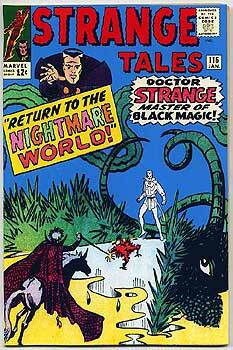 I decided to design my own variant cover, using Ditko's interior art from that issue. 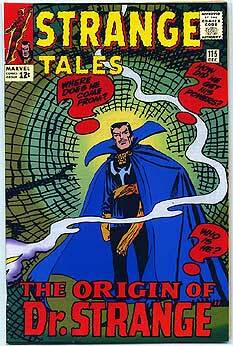 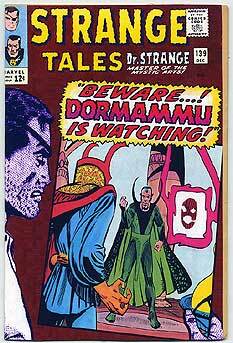 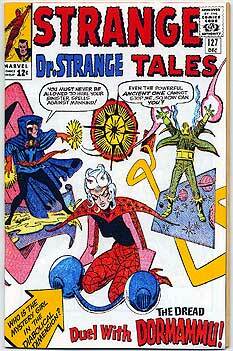 Some issues I used John Byrne's Ditko tributes from the Doctor Strange Classics reprint series from the 1980s. 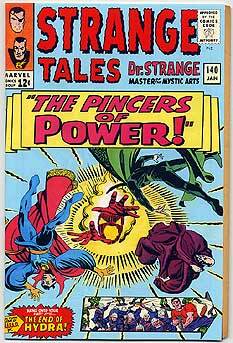 I also designed the inside front and back covers, using some vintage Mighty Marvel Pin-Ups in place of the advertisements. 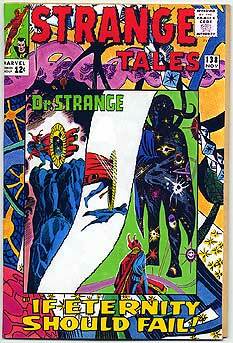 Once the comic came in the mail, I removed the original staples and attached my cover to the book. 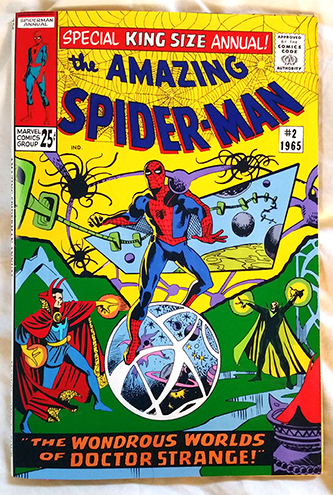 I did the entire Ditko run, up to issue #146 (as well as Amazing Spider-Man Annual #2). 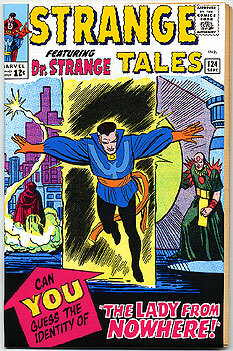 I even did a version for Los Fantasticos #35, the first appearance of Doctor Strange in Mexico. 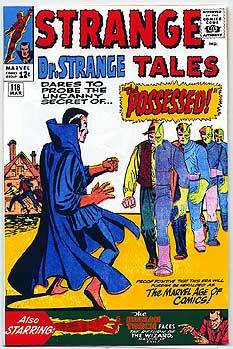 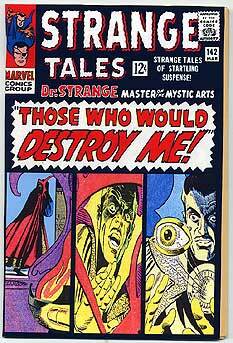 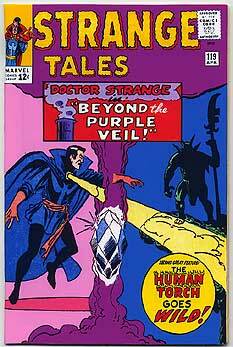 I would use low grade or coverless copies of Strange Tales, since I hate the thought of mutliating nice books. 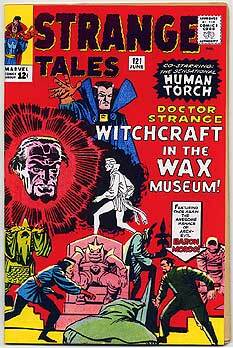 The interiors are all complete and free of major water damage. 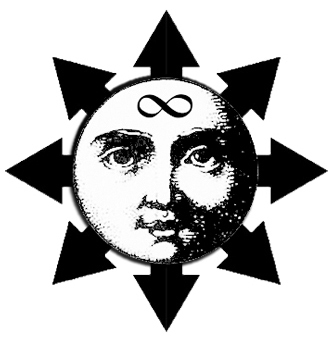 Below are the results of the project. 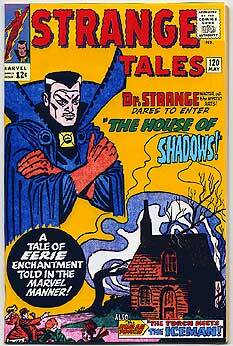 Click each cover below to see a larger version as well as the interior pin ups.